What do Alice Cooper, Chance the Rapper and Katy Perry have in common — besides selling millions of records? 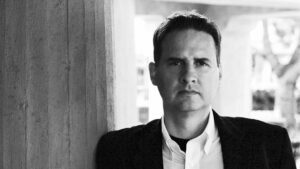 Author Mark Joseph points to their faith and how it washes over their musical contributions. 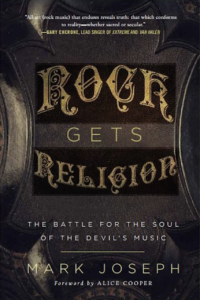 Joseph’s new book, “Rock Gets Religion: The Battle for the Soul of the Devil’s Music,” connects the disparate talents in ways you might not expect. It’s there all the same, just like how God’s influence can be seen across music genres in the most unlikely of places. Perry’s first album clung to the gospel before shaking her Christian parents’ faith with songs like “I Kissed a Girl.” Cooper, who embraced his Christianity in the ’80s, still looks like the scary rocker your parents warned you about. Chance the Rapper’s lyrics teem with talk of drugs and worse, but he calls himself a Christian rapper. And he’s not alone. “Rock Gets Religion” introduces us to names big and small whose art reflects their faith journeys. For some, the conflict between a secular music world and God became too much. Others navigated the thorny path between music fame and honoring God. No two stories are the same. The themes are unmistakably similar, Joseph says. That leaves some Christians unsure how much to embrace them.